There are many different types of SAE automotive wire, so the first thing you need to ask yourself when deciding on which wire is best for your application, is where will the wire be used? If your wire is going to be exposed to high heat, chemicals, salt and rocks from under the vehicle or equipment, then automotive cross-link wire is a very durable choice. It is an insulated wire that can be used in very harsh under-hood applications because it withstands oil, heat, abrasion, gasoline and many chemicals. Cross-link refers to the insulation process the wire undergoes to set physical properties in the insulation material so that when it is exposed to heat again, the material will not melt, flow or drip. Cross-link polyethylene wire is resistant to moisture, grease, oil, gasoline and most acids. There are three different types of cross-link wire, which are classified by insulation wall thickness. SXL insulation is the standard cross-linked wire with the thickest insulation, making it the most abrasion resistant. It is durable for under the vehicle or equipment. You will find thousands of feet of SXL cross-link wire in tractor trailers and off-road equipment. GXL insulation is thinner than SXL, but still tough enough for under the hood. It is used inside and outside the vehicle and equipment. The thinner insulation makes it lighter, more flexible and less expensive than SXL. TXL insulation has an ultra-thin wall. It is thinner than GXL, but still durable enough for under the hood. The benefit to TXL insulation is the flexibility and ease of use with the ultra-thin wall. It takes up less space and is very easy to slide through tight compartments. With all of the pressure for fuel efficiency in vehicles and equipment, TXL wire is an ideal way to reduce weight in the manufacturing process. 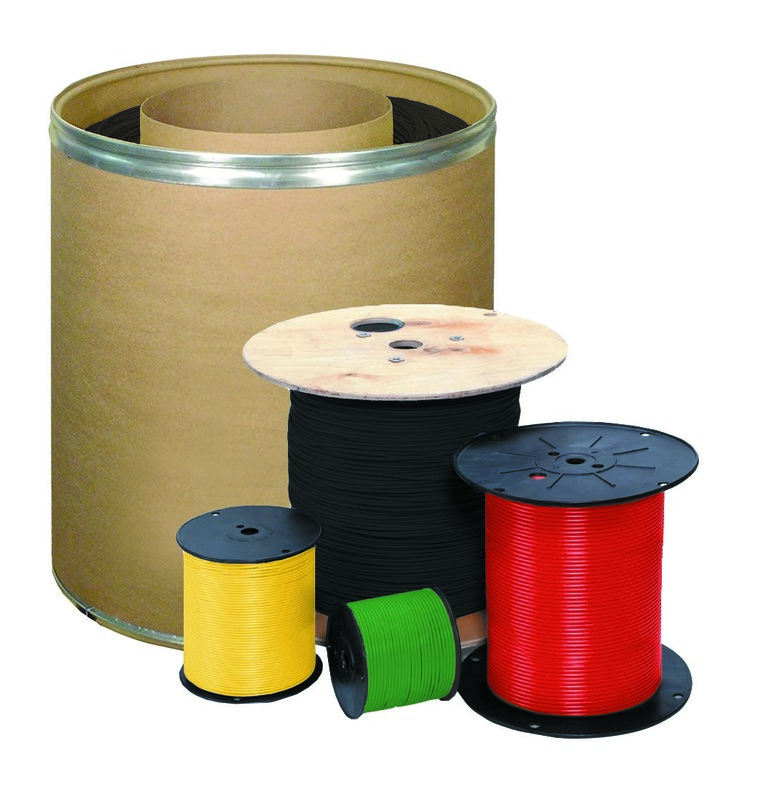 Cross-link wire comes in many colors and spool sizes. Custom wire printing and striping is also available to help easily identify wires for future maintenance.